The theory that factors other than genes are responsible for an organism’s traits, or phenotype, has been around for almost 70 years but has only gained steam in the past decade. For instance, cloned animals are often born with different colours than the animals that are the source of their DNA. But what causes these changes remained unclear. 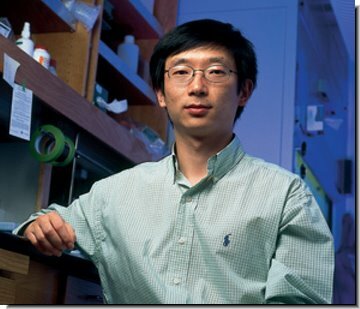 “This study shows that we still have a lot to learn about the most basic principles of gene regulation,” Lin commented. Insulin-secreting pancreatic islet cells have been generated from human spermatogonial stem cells (SSCs) directly isolated from human testicular tissue, researchers reported today at the American Association of Cell Biology 50th Annual Meeting in Philadelphia. When grafted into diabetic mice that lacked a transplant-rejecting immune system, the bioengineered cells functioned much like somatic β-islet cells, the Georgetown University (GU) Medical Center researchers said. By decreasing the animals' blood glucose levels, the human-derived islet cells demonstrated their potential to counter diabetic hyperglycaemia in humans, added G. Ian Gallicano, Ph.D., who heads the GU research team. Gallicano said that these results represent the first step of a transplant strategy to deliver β-islet cells that would not be rejected by the patient with type 1 diabetes because the stem cells would be obtained from the patient's own SSCs, the earliest precursors of male gamete sperm cells. This transplant strategy would avoid the host-versus-graft issues that have plagued other transplant treatments for type 1 diabetes, Gallicano explained, because the SSCs would be obtained from male patients, modified in the laboratory to secrete insulin, and transplanted back to the donors. Although surgeons currently transplant islet tissue from deceased donors into female and male patients with type 1 diabetes, this therapy is hampered by a woeful shortage of suitable donations and by complications resulting from host-versus-graft disease. Gallicano said that obtaining beta-islet-like cells from the male patient's SSCs could solve the problem of immune rejection in males with type 1 diabetes, since the "treatment based on this research would be 'autologous,' that is, the cells come from the patient and would be recognized as 'self.'" The fundamental approach of transforming male gametes into pluripotent stem cells might also be applicable to the female counterpart, oocytes, he added. The β-islet-like cells were engineered from germ-derived pluripotent stem (gPS) cells produced from the SSCs. The engineered β-islet cells secreted insulin and exhibited many of the markers characteristic of normal islet cells including C-peptide (pro-insulin) production and the expression of PDX1, a transcription factor involved in pancreatic development. Scientists have created a way to isolate neural stem cells – cells that give rise to all the cell types of the brain – from human brain tissue with unprecedented precision, an important step toward developing new treatments for conditions of the nervous system, like Parkinson's and Huntington's diseases and spinal cord injury. human neural stem cell. Credit: Univ. The work by a team of neuroscientists at the University of Rochester Medical Center was published in the Nov. 3 issue of the Journal of Neuroscience. Neurologist Steven Goldman, M.D., Ph.D., chair of the Department of Neurology, led the team. The latest paper marks a six-year effort by Goldman's team to develop a better way to isolate pure preparations of neural stem cells directly from the human brain. These stem cells can renew themselves and have the potential to become a number of brain cell types – for instance, oligodendrocytes that might help people with multiple sclerosis, or neurons to help people with Parkinson's disease. But after the first few months of human embryonic development, they become rare in the brain, and it's challenging for scientists to find, isolate and manipulate them. Yet those challenges must be met if stem cells are to live up to their promise as treatments for a host of human diseases of the nervous system. So far, most efforts aimed at isolating human foetal stem cells have entailed cultivating brain tissue in tissue culture in the laboratory for months, then separating out the stem cells for study. 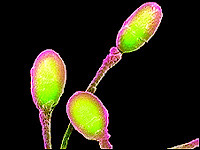 In addition, today's techniques don't separate out just stem cells; typically, similar cells known as progenitor cells, which have already committed to becoming a certain type of cell, are also captured. The difference is crucial for scientists who often prefer to capture only uncommitted neural stem cells, whether to treat brain diseases requiring the replacement of multiple cell types or to better understand their function. The Goldman lab's new technique snags only neural stem cells and does so directly from brain tissue. The technology saves months of time and labour in the laboratory and also gives scientists a clearer look than ever before at exactly how stem cells operate in the brain. In its studies, Goldman's team found some surprises. As expected, certain classes of genes encoding for proteins active in mouse neural stem cells – such as members of the Notch and WNT families – were highly active. But when the scientists looked more closely, they found that the freshly isolated neural stem cells expressed some genes from these families that were previously virtually unknown in humans, and which had never before been implicated in human brain function. At the same time, some of the genes that are important and active in mouse neural stem cells proved not to be so in the human cells. "While research in mice and other animals serves as a guide, ultimately you have to study human tissue and humans to really understand disease in people," said Goldman, who is also co-director of Rochester's Center for Translational Neuromedicine. "While the general signalling pathways active in mice and people are very similar, the individual genes are quite different. This is not something we would have predicted. It's a good demonstration that you can't use mouse studies to fully dictate what kinds of therapeutics should be used in people." The ability to gather human cells more efficiently should aid potential treatments built around transplanting stem cells. In the last few years, a couple studies using human neural stem cells in the nervous system have begun in children with incurable brain diseases known as paediatric leukodystrophies. But the field is in its infancy, and Goldman believes that the cell types currently being used will soon be replaced by more effective types of transplantable stem and progenitor cells. To track it down, the team identified the DNA sequence, known as an enhancer, which determines whether Sox2 is active in neural stem cells. The scientists took that piece of DNA, coupled it to a gene that makes cells emit light of a particular wavelength, and then packaged the resulting synthetic DNA into a virus. They used the virus to deliver the synthetic DNA to neural stem cells in the brain tissue. 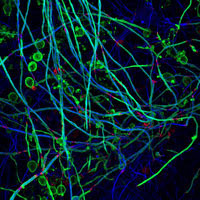 The technique compelled neural stem cells – and only the stem cells – to emit light of a certain colour, which in turn allowed a laser-based system to tag and capture just those cells. The result was a pure population of human neural stem cells, the first such population ever purified so specifically or directly. Credit: Hoang Xuan Pham / UCI. A therapy developed by Aileen Anderson and Brian Cummings of UC Irvine's Sue and Bill Gross Stem Cell Research Center in collaboration with researchers at StemCells Inc. will be the basis of the world's first clinical trial using human neural stem cells to treat spinal cord injury. Swissmedic, the Swiss regulatory agency for therapeutic products, has authorized a Phase I/II clinical trial for chronic spinal cord injury, cases in which inflammation has stabilized and recovery has reached a plateau. The trial will utilize StemCells Inc.'s proprietary purified human neural stem cells and will be conducted at the University of Zurich's University Hospital Balgrist, one of the world's leading medical centres for spinal cord injury and rehabilitation. It's designed to assess both safety and preliminary efficacy in patients with varying degrees of paralysis who are between three and 12 months post-injury at the time of transplantation. Enrolment is expected to begin in early 2011. "This is tremendously exciting news," said Anderson, UCI associate professor of physical medicine & rehabilitation and anatomy & neurobiology. "Human neural stem cells may hold great promise for helping people with spinal cord injuries regain lost function." In their collaboration with StemCells Inc., Anderson and Cummings conducted eight years of preclinical studies in rodents that demonstrated the significant therapeutic potential of human neural stem cells. Their efforts have shown how these cells, when transplanted into damaged spinal columns, can differentiate into neural tissue cells – such as oligodendrocytes and early neurons – and migrate to injury sites. In recent studies, the researchers found that the treatment restored hind-limb function in mice when transplanted in the early chronic period after spinal cord injury. Other stem cell studies have focused on the acute, or early, phase of spinal cord injury, a period of up to a few weeks after the initial trauma when drug therapies can lead to some functional recovery. The Swiss trial is significant because it will test treatment safety and restoration of mobility during the chronic, or later, phase. There are currently no drug therapies to help restore function during this phase. "About 1.3 million individuals in the U.S. are living with chronic spinal cord injury," said Cummings, UCI associate professor of physical medicine & rehabilitation and anatomy & neurobiology. "This trial will be the first opportunity to demonstrate that human neural stem cells may be a viable treatment approach for them." 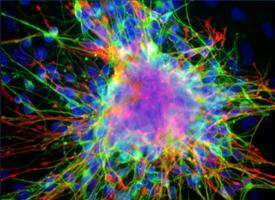 The Swiss spinal cord injury trial is the second involving UCI stem cell researchers. Earlier this year, the U.S. Food & Drug Administration approved a Phase I safety trial of an embryonic stem cell treatment created by Hans Keirstead. Conducted by Geron Corp., the multisite acute spinal cord injury trial enrolled its first patient in October. Promoting basic and clinical research and training in the field of stem cell biology at UC Irvine, the centre is a leading international institution in stem cell research and clinical applications. It consolidates existing research strengths and clinical initiatives at UCI and serves as a nucleus for growth via collaboration and new recruits. The centre provides an organizational structure for all areas of stem cell research, supports premier graduate training, maintains a core stem cell facility and equipment, hosts guest researchers and annual meetings, and contributes to research and dialogue on policy and ethical issues related to stem cells. Mandatory genetic screening of newborns for rare diseases is creating unexpected upheaval for families whose infants test positive for risk factors but show no immediate signs of the diseases, a new UCLA study warns. "Although newborn screening undoubtedly saves lives, some families are thrown on a journey of great uncertainty," said UCLA sociology professor Stefan Timmermans, the study's lead author. "Rather than providing clear-cut diagnoses, screening of an entire population has created ambiguity about whether infants truly have a disease — and even what the disease is." The study, which appears the December issue of the Journal of Health and Social Behavior, describes these families as "the collateral damage of newborn screening," an unanticipated consequence of the expansion of mandatory screening for a wide range of conditions in 2005. "Basically you're telling families of a newborn, 'Congratulations, but your child may have a rare genetic condition. We just don't know, and we don't know when we'll know,'" Timmermans said. Conducted with Mara Buchbinder, who earned a doctorate in anthropology at UCLA and is now an assistant professor of social medicine at the University of North Carolina–Chapel Hill, the study paints a picture of families caught in limbo. They have to wait months for conclusive evidence that their children are out of the woods for conditions that have been associated with schizophrenia, mental retardation, heart and lung disease, coma, and sudden death. In many cases, the medical results never come; the children slowly age out of having risk factors for up to 29 metabolic, endocrine or haemoglobin conditions. But by that time, some families are so traumatized that they follow unwarranted and complicated regimens for years afterward, including waking their children up in the middle of the night, enforcing restrictive diets and limiting contact with other people. "Years after everything appears to be fine, parents are still very worried," Timmermans said. For three years, Timmermans and Buchbinder followed 75 California families whose newborns received screenings that sent up red flags for diseases characterized by an inability to digest food containing fat, proteins or sugars. Of the total, 40 of the infants became what the researchers describe as "patients-in-waiting" — children who have not developed symptoms but whose genetic tests raise flags. "The parents don't know whether their child is a false positive or they're a true positive," Timmermans said. In one particularly poignant case of a patient-in-waiting, a father refused to allow anyone but the infant's mother to care in any way for the boy, fearing contamination that might aggravate his potential condition. More than a year after the baby's birth, the mother had not been apart from the baby. Her dream, she confessed to the researchers, was to be able one day to go on a date with her husband. Parents of another patient-in-waiting were afraid to pursue an out-of-state job opportunity because they were uncertain about the quality of medical care that would be available for their child with potential medium-chain acyl-coenzyme A dehydrogenase deficiency (MCADD), a condition that prevents babies from being able to turn fat into energy. Without treatment, MCADD babies can experience seizures, extreme sleepiness or comas, and even die. In addition, several parents decided to either give up a job or not return to a job in the hopes of keeping a closer eye on their children in case symptoms of the rare diseases did eventually surface. "When the test results ultimately suggest the risk is nothing or not as significant as with patients who are symptomatic, the physicians are ready to let go of preventative measures," Timmermans said. "But the parents are reluctant to give them up because they come to believe that they're keeping their child disease-free. Over and over again, we saw parents and doctors at odds." The genetic testing of newborns dates back four decades, when the approach showed promise in identifying phenylketonuria (PKU), a genetic disorder characterized by the body's inability to utilize an essential amino acid, phenylalanine. The disorder causes a build-up of phenylalanine in the blood, which can result in mental retardation, brain damage, seizures and other problems. But if PKU sufferers are identified early enough, they can avoid these problems through diet and medication. The advent of new screening technologies in the late 1990s vastly increased the number of potential diseases that could be detected with a blood sample easily obtained by pricking the heel of a newborn. Genetic testing of newborns got another shot in the arm in 2005 when the American College of Medical Genetics called for mandatory screening of 29 conditions and 24 sub-conditions. By 2009, all 50 U.S. states and the District of Columbia screened for at least 21 of the 29 recommended conditions, and the full recommendations had been adopted by 44 states, including California. Other countries have since adopted genetic screening, but they test for fewer conditions and add new conditions more slowly than the U.S. The study findings cast doubt on the medical efficacy of the battery of screenings administered widely in America, the researchers said. "Expanded newborn screening has called into question whether screening targets correspond to actual diseases or just benign forms of human variation," Buchbinder said. "There are many more positive screenings than were anticipated based on the incidence of the diseases in the general population," Timmermans added. Nobody knows the number of families who fall into the ‘patient-in-waiting’ category, but it is assumed to be a relatively small number. Still, the number is much larger than was anticipated when screening for a wide range of conditions began in 2005, the study argues. The researchers also suggest the need for increasing the speed with which follow-up tests are administered so that parents of patients-in-waiting spend less time wringing their hands. "When the American College of Medical Genetics advocated for the expansion of newborn screening, they argued that the societal benefit of newborn screening would be the avoidance of diagnostic odysseys in which parents of kids with rare diseases travel from doctor to doctor in an attempt to find out what is wrong with them," Timmermans said. "Our study shows that, in fact, the expansion of newborn screening has created a new population on diagnostic odysseys — the parents of these patients-in-waiting. Now we need to figure out how to dramatically shorten or eliminate this unexpected and stressful journey." ﻿Researchers from the Universities of Cambridge and Edinburgh have identified a mechanism essential for regenerating insulating layers - known as myelin sheaths - that protect nerve fibres in the brain. In additional studies in rodents, they showed how this mechanism can be exploited to make the brain's own stem cells better able to regenerate new myelin. "Therapies that repair damage are the missing link in treating multiple sclerosis. In this study we have identified a means by which the brain's own stem cells can be encouraged to undertake this repair, opening up the possibility of a new regenerative medicine for this devastating disease." "The aim of our research is to slow the progression of multiple sclerosis with the eventual aim of stopping and reversing it. This discovery is very exciting as it could potentially pave the way to find drugs that could help repair damage caused to the important layers that protect nerve cells in the brain." Personalized medicine centres on being able to predict the risk of disease or response to a drug based on a person's genetic makeup. But a study by scientists at Washington University School of Medicine in St. Louis suggests that, for most common diseases, genes alone only tell part of the story. That's because the environment interacts with DNA in ways that are difficult to predict, even in simple organisms like single-celled yeast, their research shows. "The effects of a person's genes – and, therefore, their risk of disease – are greatly influenced by their environment," says senior author Barak Cohen, PhD, a geneticist at Washington University School of Medicine. "So, if personalized medicine is going to work, we need to find a way to measure a human's environment." To understand gene-environment interactions at the most basic level – at the individual DNA letters that make up the genetic code – the researchers turned to a model organism, the yeast Saccharomyces cerevisiae, culled from North American oak trees and vineyards, where it grows naturally. They asked whether growing the yeast in different environments would influence the rate at which the yeast produce spores, a form of sexual reproduction. This complex trait is heavily influenced by genetics, Cohen's earlier research has shown. In a study published in 2009 in Science, he determined that just four DNA variants, called single nucleotide polymorphisms (SNPs), account for 90 percent of the efficiency with which yeast produce spores. The researchers showed that the four variants "interacted like crazy such that the combined effects of any four variants were always larger than the sum of their individual effects," Cohen says. But in that study, the yeast were grown in the same environment – glucose. "These were all mono- or di-saccharides, so the environments are not radically different from one another," Cohen explains. "It's not like we heated up the yeast or froze them, added acids or put them in a centrifuge. We simply changed the carbon source and measured the effects of those four SNPs in the different environments." "Having a particular combination of SNPs was never a great predictor," Cohen says. "If we didn't know the environment in which the yeast were grown, we could not accurately predict the effect of the SNPs on producing spores. And if we can't make accurate predictions about the way environment influences complex traits in yeast, then it will be exceedingly difficult to do so in people." The new research raises many questions: what is a human's environment and how can it be measured? Is the environment a person lived in during childhood important or the environment he lives in now? "Measuring the environment becomes crucial when we try to understand how it interacts with genetics," Cohen says. "Having a particular genetic variant may not have much of an effect but combined with a person's environment, it may have a huge effect." Cohen says he is not hopeless when it comes to personalized medicine. As scientists conduct ever-larger studies to identify rare and common variants underlying diseases such as cancer, diabetes and schizophrenia, they will be more likely to uncover variants that have larger effects on disease. Even then, however, a person's environment will be important, he adds. Gerke J, Lorenz K, Ramnarine S, Cohen B.
Scripps Research Institute scientists have made a significant leap forward in the drive to find a way to safely reprogram mature human cells and turn them into stem cells, which can then change into other cell types, such as nerve, heart, and liver cells. The ability to transform fully mature adult cells such as skin cells into stem cells has potentially profound implications for treating many diseases. In research published in the December 3, 2010 issue of Cell Stem Cell, Scripps Research Associate Professor Sheng Ding, PhD, reports a novel cocktail of drug-like small molecules that, with the assistance of a gene called Oct4, enables reprogramming of human skin cells into stem cells. "Our ultimate goal is to generate induced pluripotent stem cells with defined small molecules," Ding said. "This would offer a fundamentally new method and significant advantages over previous methods, such as genetic manipulation or more difficult-to-manufacture biologics." Using small-molecule compounds to reprogram adult human cells back to their pluripotent state — able to change into all other cell types — avoid the ethical controversy around embryonic stem cell research, and pave the way for the large-scale production of stem cells that could be used inexpensively and consistently in drug development. Cures for Alzheimer's, Parkinson's, and many other diseases might be possible if new cells could be created from a patient's own cells to replace those that have succumbed to disease or injury. Scientists discovered in 2007 that fully differentiated mature cells, such as skin cells, could be "reprogrammed" to become pluripotent by using four transcription genes. One problem with this technique is that these genes, once inserted into a cell, permanently alter the host cell's DNA. "There are many concerns when the host cell's genome is manipulated," Ding says. "One major worry is that since the four genes are [cancer-causing] oncogenes, they could induce tumours or interrupt functions of other normal genes." Because of this danger, scientists have been searching for methods that could induce reprogramming without the use of these cancer-causing genes. The method the Ding lab has been pioneering — using small, synthetic molecules — represents a fundamentally different approach from the previous methods. "We are working toward creating drugs that are totally chemically defined, where we know every single component and precisely what it does, without causing genetic damage," Ding says. Scientists have known for at least 50 years that a cell's identity is reversible if given the right signal — cells go forward to become mature, functional cells or they can go backward to become primitive cells. In order for cellular reprogramming to be safe and practical enough to use in cell therapy, researchers have sought an efficient, reliable way to trigger the reprogramming process. In 2008, the Ding lab reported finding small molecules that could replace two of the required four genes. Now, two years later, through extraordinary effort and unique screening strategy, the lab made a major leap forward by finding a way to replace three out of the four genes. "We are only one step away from the ultimate goal, which would represent a revolutionary technology," Ding says. The new study also revealed that the novel compound facilitates a novel mechanism in reprogramming: the metabolic switch from mitochondrial respiration to glycolysis, an important mechanism for tissue regeneration. The small molecules Ding and his colleagues found promote reprogramming by facilitating such metabolic switching — an entirely new understanding of reprogramming. A future goal is to replace Oct4, a master regulator of pluripotency, in the chemical cocktail. "That would be the last step toward achieving the Holy Grail," Ding says. "Our latest discovery brings us one step closer to this dream." A research study from the Farber Institute for Neurosciences and the Department of Neuroscience at Thomas Jefferson University determines bone marrow stromal stem cells may aid in stroke recovery. The results is published in Cell Transplantation – The Regenerative Medicine Journal, issue 19(9). The study examining the effects of a systematic administration of either rat (allogenic) or human (xenogenic) bone marrow stem cells (MSC) administered to laboratory rats one day after their simulated strokes found "significant recovery" of motor behaviour on the first day. Early administration was found to be more effective than administration seven days after the simulated strokes. "The timing of stem cell treatment was critical to the magnitude of the positive effects," said the study's lead author, Lorraine Iacovitti, Ph.D., professor, Department of Neuroscience at Jefferson Medical College of Thomas Jefferson University. "In the host animals we found profound changes and preserved brain structure along with long-lasting motor function improvement." "The mechanism through which MSCs achieve these remarkable effects remains elusive," said Dr. Iacovitti. "It is possible that activated glia cells (non-neuronal cells that perform a number of tasks in the brain) may play some role in the response, perhaps by partitioning off the infarcted region and limiting the spread of ischemic brain damage without inducing scar formation." The research team concluded that there was "little doubt" that the administration of stem cells can modify the cellular and molecular landscape of the brain and blood, limiting damage and protecting the stroke-injured brain. 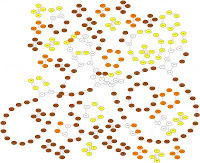 Yang, M., Wei, X., Li, J.. Heinel, L. A., Rosenwasser, R., Iacovitti, L.
The fragile regions in mammalian genomes that are thought to play a key role in evolution go through a "birth and death" process, according to new bioinformatics research performed at the University of California, San Diego. The new work, published in the journal Genome Biology on November 30, could help researchers identify the current fragile regions in the human genome – information that may reveal how the human genome will evolve in the future. "The genomic architecture of every species on Earth changes on the evolutionary time scale and humans are not an exception. What will be the next big change in the human genome remains unknown, but our approach could be useful in determining where in the human genome those changes may occur," said Pavel Pevzner, a UC San Diego computer science professor and an author on the new study. Pevzner studies genomes and genome evolution from a computational perspective in the Department of Computer Science and Engineering at the UC San Diego Jacobs School of Engineering. in evolution go through a "birth and death"
﻿﻿The fragile regions of genomes are prone to "genomic earthquakes" that can trigger chromosome rearrangements, disrupt genes, alter gene regulation and otherwise play an important role in genome evolution and the emergence of new species. 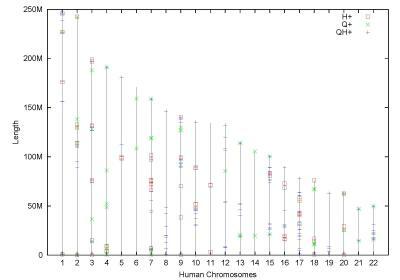 For example, humans have 23 chromosomes while some other apes have 24 chromosomes, a consequence of a genome rearrangement that fused two chromosomes in our ape ancestor into human chromosome 2. This work was performed by Pevzner and Max Alekseyev – a computer scientist who recently finished his Ph.D. in the Department of Computer Science and Engineering at the UC San Diego Jacobs School of Engineering. Alekseyev is now a computer science professor at the University of South Carolina. "The main conclusion of the new paper is that these fragile regions are moving," said Pevzner. In 2003, Pevzner and UC San Diego mathematics professor Glen Tesler published results claiming that genomes have "fault zones" or genomic regions that are more prone to rearrangements than other regions. Their "Fragile Breakage Model" countered the then largely accepted "Random Breakage Model" – which implies that there are no rearrangement hotspots in mammalian genomes. While the Fragile Breakage Model has been supported by many studies in the last seven years, the precise locations of fragile regions in the human genome remain elusive. The new work published in Genome Biology offers an update to the Fragile Breakage Model called the "Turnover Fragile Breakage Model." The findings demonstrate that the fragile regions undergo a birth and death process over evolutionary timescales and provide a clue to where the fragile regions in the human genome are located. Finding the fragile regions within genomes is akin to looking at a mixed up deck of cards and trying to determine how many times it has been shuffled. 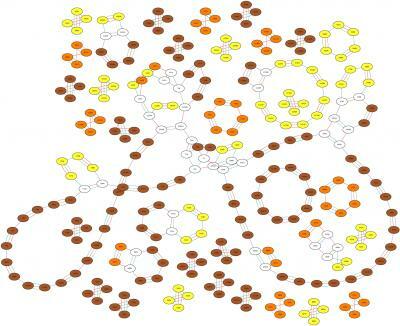 (still active) fragile regions in the human genome. evolution go through a "birth and death" process. ﻿ Looking at a genome, you may identify breaks, but to say it is a fragile region, you have to know that breaks occurred more than once at the same genomic position. "We are figuring out which regions underwent multiple genome earthquakes by analyzing the present-day genomes that survived these earthquakes that happened millions of years ago. The notion of rearrangements cannot be applied to a single genome at a single point in time. It's relevant when looking at more than one genome," said Pevzner, explaining the comparative genomics approach they took. "It was noticed that while fragile regions may be shared across different genomes, most often such shared fragile regions are found in evolutionarily close genomes. This observation led us to a conclusion that fragility of any particular genomic position may appear only for a limited amount of time. The newly proposed Turnover Fragile Breakage Model postulates that fragile regions are subject to a 'birth and death' process and thus have limited lifespan," explained Alekseyev. The Turnover Fragile Breakage Model suggests that genome rearrangements are more likely to occur at the sites where rearrangements have recently occurred – and that these rearrangement sites change over tens of millions of years. Thus, the best clue to the current locations of fragile regions in the human genome is offered by rearrangements that happened in our closest ancestors – chimpanzee and other primates. Pevzner is eagerly awaiting sequenced primate genomes from the Genome 10K Project. Sequencing the genomes of 10,000 vertebrate species – including 100s of primates – is bound to provide new insights on human evolutionary history and possibly even the future rearrangements in the human genome. "The most likely future rearrangements in human genome will happen at the sites that were recently disrupted in primates," said Pevzner. Work tied to the new Turnover Fragile Breakage Model may also be useful for understanding genome rearrangements at the level of individuals, rather than entire species. In the future, the computer scientists hope to use similar tools to look at the chromosomal rearrangements that occur within the cells of individual cancer patients over and over again in order to develop new cancer diagnostics and drugs.